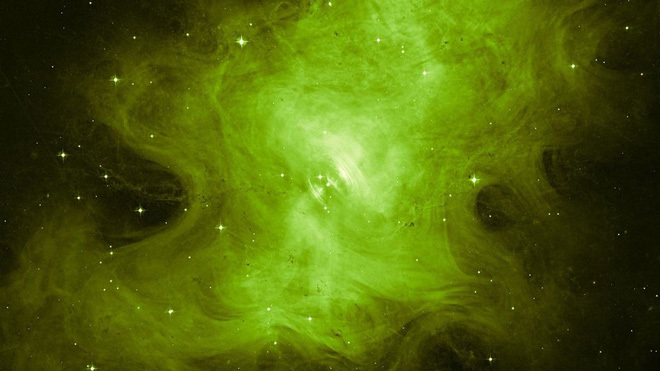 The dead star demonstrates its ghostly-green pallor in the photo of the Hubble Space Telescope. The neutron star rotates 30 times per second, producing an extreme magnetic field, and throws out beams of waves that form an expanding ring. If you want to see the strange object yourself, find the telescope and direct it to the part of the space where the Crab Nebula is located in the constellation Taurus. NASA says that people on Earth have been watching the Crab Nebula since 1054. Then the Chinese astronomers saw the mysterious space object in the daytime. Only in 1928, Edwin Hubble connected the “false committee” with an object that Chinese astronomers have observed for centuries earlier. Next story Humanity is gradually eating the last large animals of the Earth.